That’s right. The Federal Aviation Administration has approved its first-ever paper airplane drone to fly commercially. Under FAA requirements, drones may not be operated outside restricted airspace and below 200 feet. However, the FAA’s exemption approval waives those restrictions. This smartphone-controlled paper airplane -- also known as the PowerUp 3.0 -- has a flight time of 5 to 10 minutes and a range of 180 feet, according to the company. The company also touts the airplane drone’s success saying that the PowerUp 3.0 stands as the most successful Kickstarter campaign in the flight category. The company says it has also been used and endorsed by NASA scientists. 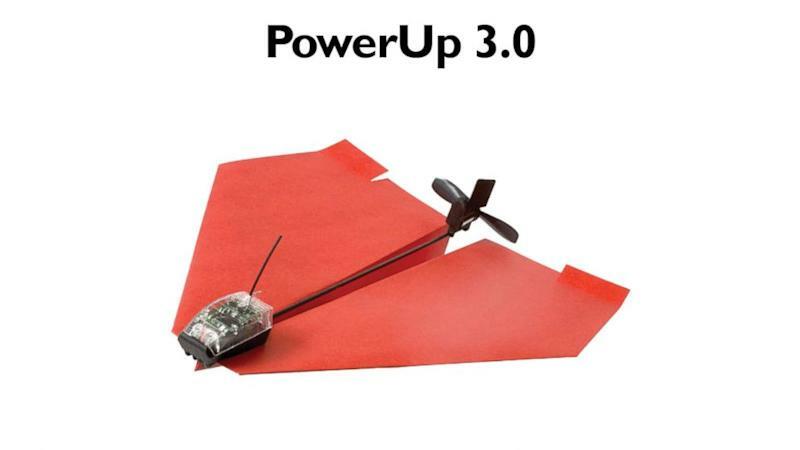 The petition for exemption for the PowerUp 3.0 was filed by Peter Sachs, a lawyer with a concentration in drone law and pilot who wants to use the paper airplane drone to take aerial videos and photos. “I intend to operate my UA [Unmanned Aircraft] commercially by conducting aerial photography and videography, both at the request of others and absent anyone’d request, but in either with the intent to create salable art,” Sachs wrote in his letter to the FAA. The FAA found that granting an exemption would be in the public’s best interest and that good cause exists, as Sachs would be using the drone for aerial data collection. To date, the FAA has approved over 1,300 drone flights from those seeking to operate unmanned vehicles in commercial airspace.